Hello. 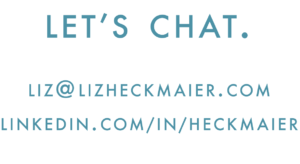 I’m Liz Heckmaier. I’m a freshly-minted PhD in Experimental Nuclear and Particle Physics. I like very small things and the things used to detect them. My research interests run over weak interactions and neutrino physics, beta and gamma spectroscopy, and radiation detection to simulating and modeling experiments to nuclear materials/weapons non-proliferation and policy. You can learn a bit more about me, or if you’re more social media-inclined, find me here. On the side, I enjoy tinkering with electronics and dabbling in graphic design. *you can find a nice summary of the reactor antineutrino anomaly here.